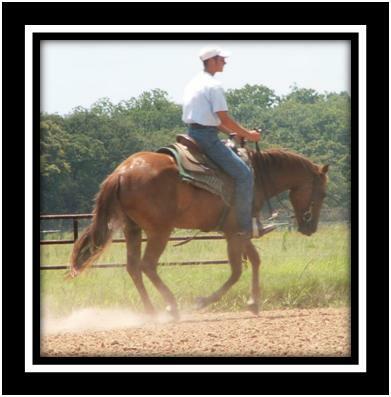 Offering quality coaching and training, specializing in reining and colt starting. Travis' understanding of horses and ability to think like them, has earned him a reputation as a horseman who provides solid general training. He has become a go to trainer for problem horses and difficult colts. 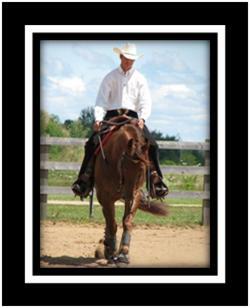 Using his program that consists of important basics (groundwork and under saddle) he has helped improve many different horses, such as reining, dressage and trail horses. Travis focuses on giving your horse a solid foundation that places them on track to success. Whether success is measured as going for an enjoyable trail ride, competing in reining, being trained for resale or any other path. While effective and efficient training is the goal, the horse's wellbeing and long-term success are most important. Shown here, as a two year old during her first few months of training, which were under Travis Smith. She went on to make the Intermediate Non Pro Finals at the NRHA Futurity. Travis enjoys working with horses destined for the reining show pen. This includes starting your two year old future champion, preparing futurity horses, as well as, maintaining open and non pro show horses. Qualified for the 2010 NRHA North American Affiliate Championship in Oklahoma City with Travis Smith.